LATE to the compact SUV party, Hyundai has arrived in style with the new Kona priced from $27,000 drive-away. 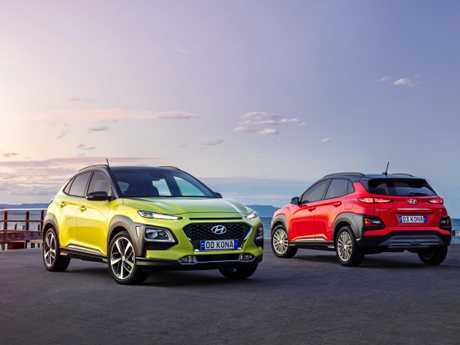 Designed to take the fight to the likes of Mazda's CX-3, the Honda HR-V and the Toyota C-HR, the new Hyundai offering aims to shake up the segment with nine body colour choices and two contrasting roof colour options. 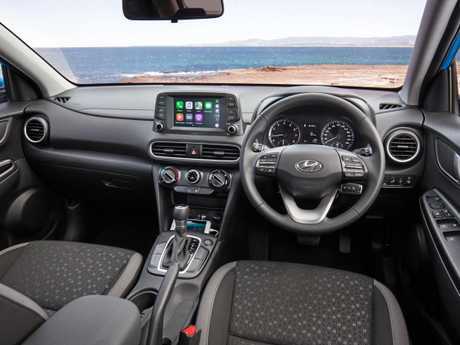 Typically well equipped, the Kona has impressive features across the range, including full smartphone connectivity and the latest pedestrian safety technology. Kona is available in three Active, Elite and Highlander, with an optional safety pack for the base model. There are two engine options in every grade, a 2.0-litre, naturally-aspirated engine with six-speed automatic transmission and front-wheel drive, or a 1.6-litre turbocharged engine mated to a seven-speed dual-clutch transmission with all-wheel-drive. 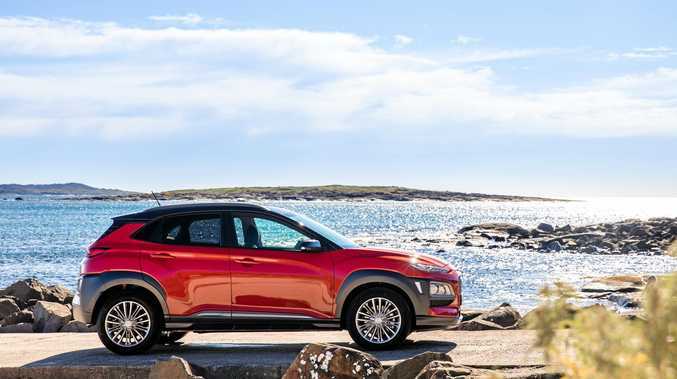 "Arriving fashionably late for the party means that Hyundai Motor Company has had the development time needed to deliver a small SUV that is right for its time and laser-focused on its target,” said Hyundai Motor Company Australia chief executive officer JW Lee. "Kona boasts a multitude of innovative safety and technological features across a solid model range, featuring engines and transmissions that will appeal to a wide customer base and a wonderful level of customisation built in - and all of it balanced by keen pricing, a five-year, unlimited kilometre warranty and Lifetime Service Plan. The 2.0-litre engine produces 110kW at 6200rpm and 180Nm at 4500rpm. Paired with the six-speed automatic transmission, it accelerates the front-wheel-drive Kona from standstill to 100km/h in 10 seconds. Hyundai's turbocharged 1.6-litre generates 130kW at 5500rpm and torque - 265Nm - starts at 1500rpm and stays at its peak through to 4500rpm. It has 18% more power and 47% more torque than the 2.0 litre MPi engine, giving a 7.9 second 0-100km/h time. Drive Mode Select is available on both automatic and DCT variants, the function letting drivers choose between 'Comfort', 'Eco' and 'Sport' modes. Measuring 4,165mm in overall length, 1,800mm wide. 1565mm high, riding on a 2,600mm wheelbase and with 170mm minimum ground clearance, Kona has been developed with interior space in mind and a focus on enhanced driving dynamics and spirited performance in the urban environment. As with all new Hyundai vehicles sold in Australia (other than iMax and iLoad), Kona features suspension and steering tuned specifically for local driving conditions. Developed over thousands of kilometres of testing on a variety of surfaces, from country lanes to freeways to corrugated dirt roads, Hyundai Australia's Chassis Development Team has implemented a bespoke tune for both suspension designs. Led by General Manager of Product Engineering, Hee Loong Wong (aka 'Wongy'), the localisation program ensures all new Hyundai's sold here offer a similar driver experience and vehicle character in terms of comfort and dynamic performance. 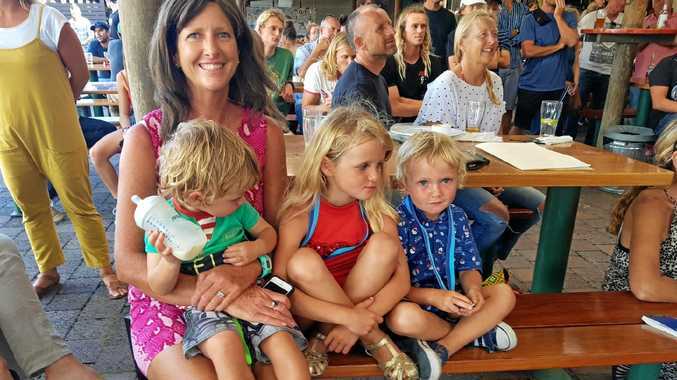 "The brief was to give Kona a sporty, get-up-and-go feeling - the suspension geometry has those sorts of characteristics built in,” said Wongy. "We tuned the chassis to make it more compliant and controlled for Australian country roads but also make it really responsive and great fun through the corners. "We leaned towards the idea of the two-wheel-drive car being a fun and comfortable city dweller while the all-wheel-drive turbo is more of a go-anywhere vehicle with plenty of sportiness. Among the safety features are Forward Collision-Avoidance Assist which can detect a potential collision. As well as having six airbags, the Kona can also come with Blind Spot Collision Warning, Rear Cross-Traffic Collision Warning, Lane Keeping Assist, Driver Attention Warning and High Beam Assist, along with the usual stability control, anti-lock brakes and hill-start assist functionality. Standard features on the Active include automatic wipers, rear view camera, 16-inch alloys, seven-inch colour screen, Bluetooth connectivity, as well as Apple CarPlay and Android Auto compatibility. Elite adds larger 17-inch alloys, leather trim, smart key with push button start, automatic wipers, climate control air con and the full safety pack. Range-topping Highlander gets 18-inch alloys, front park assist, head-up display, heated front seats and steering wheel and power adjustable front seats. Which baby SUV should I buy to fit in my garage?